You’ve probably heard this from your friend, your neighbor, your real estate agent, the news or—what many consider the ultimate news source—Facebook. Let us confirm. Yes, it is a seller’s market. Yes, it is a great time to sell. Then, why does it seem like nobody is selling their home? This is why we have the market we have; one crawling with interested buyers and full of uncertain sellers, ultimately creating one of the lowest May inventories in recent memories. The issues following the ‘but’ are not being solved by faster sales and larger asking prices. If anything, they are just creating more hesitation. Right now, what buyers and sellers need most is credible information on the unprecedented nature of today's market. Next, they need helpful advice and insight on how to navigate it. That's where we come in. The goal of this blog is to help provide a road map—not to get you to list your home immediately or jump into a bidding war. This is a tool that will give you the ability to make a confident decision on whether moving in today's market is good for you and your family. Here are a few of the underlying decisions that surface once a homeowner seriously considers the idea of selling. How will I find the right home to buy especially if I don’t want to move (my family) twice? My current home isn’t ready to sell. Will I pay top dollar to buy in this market? I don’t want to be in the rat race of multiple offers and bidding wars. How do I effectively market my house in today’s market? How do I know the right sales price for my home? Building a house sounds like way too much work. Are we heading into another real estate bubble? We plan to cover all of these topics over the coming weeks. Join the Stark Facebook or LinkedIn page for alerts on when new articles are posted. Access to information is never a problem in today’s society. However, sifting through the noise to find helpful and accurate information can be a challenge. We believe that an informed society is a confident society. We wouldn’t be doing our job if we weren’t helping to interpret what our real estate market is today. Questions and comments are always welcome. For additional blog topics, please visit Stark News Nuggets. Many sellers are ill-prepared for the power shift that occurs after they have accepted an offer. 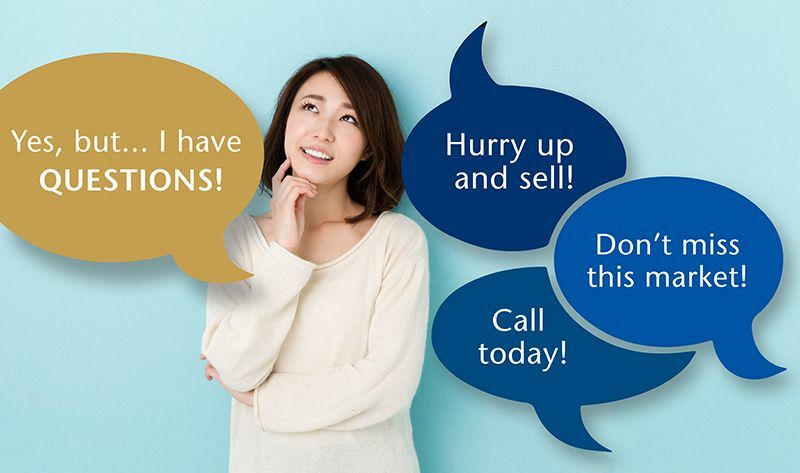 Selling When Your Home "Isn't Ready"